As many of you know, this year JOYA DE NICARAGUA is celebrating its 45th anniversary and we are taking this accomplishment very seriously. Among other exciting news coming from our Company, we want to formalize a series of executive changes that have been taking place over the past few months, and that are part of our continuing international expansion aimed at serving you better. While I will continue as Chairman and CEO of JOYA DE NICARAGUA S.A, our Board of Directors has elected Mr. Juan Ignacio Martínez as Executive President of the Company, with the responsibility of overseeing its day-to-day performance in production and marketing. Juan has been with JOYA for nearly six years, and has been involved in the strategic management of the Company, including organizational strengthening, investments and relationship with key partners. You can connect with Juan on twitter (@ji_martz). To support our growing international presence, the Board also named Mr. Ivan Gutierrez as Deputy Marketing Director to work closely with Mario Perez, our Sales and Marketing Director, in expanding JOYA’s presence around the world. Ivan, who has marketing experience in the regional tobacco industry, has been with the Company for nearly a year working as JOYA’s Brand Manager for the USA and playing a key role in the relationship between the Company and our US Distributor, Drew Estate. Connect with Ivan (@digilatman). Finally, as part of our new international marketing strategy, we’ve named Mr. Carlos Zuñiga as Creative Director in charge of shepherding JOYA’s image around the world. He will continue leading the effort of getting our message across to customers of all nationalities, while bringing youth and creativity to our brand’s identity. Carlos has more than ten years of experience as creative director in one of Nicaragua’s top advertising companies, and as a cigar lover he has found in JOYA DE NICARAGUA his perfect match. Connect with him (@zuns). 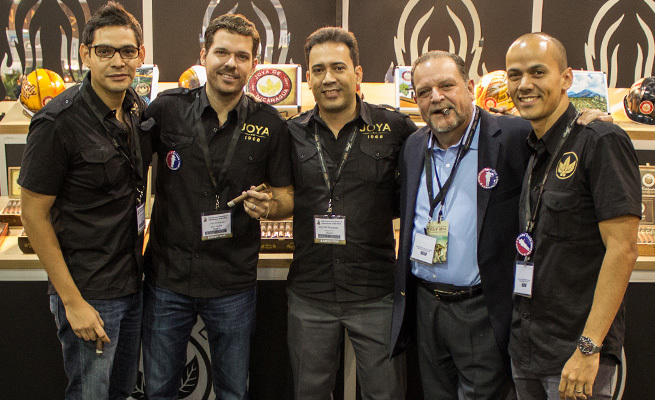 The new members of the JOYA team were introduced to many of you and to other key partners and customers at this year’s IPCPR Tradeshow in Las Vegas. While they will be based in Nicaragua, all of them can be expected to join me, and the rest of the executive team, in customer visits and industry events around the world. We welcome them to the JOYA family, and we hope that you’ll find in our growing team the same passion and dedication that we have consistently provided over the years.